Looking for a less expensive option to the Clinique Chubby Stick Color Balms? 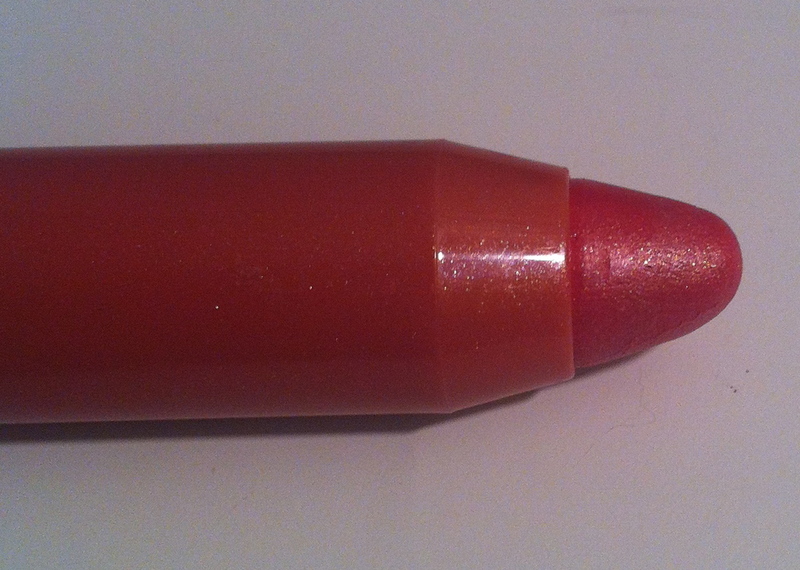 A slew of drugstore brands are jumping on the jumbo lip pencil balm bandwagon. I tried Neutrogena's version recently and thought I would share my thoughts. 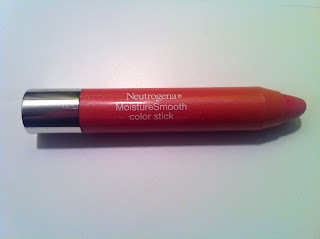 Neutrogena's MoistureSmooth Color Sticks come in 8 colors range from peaches and pinks to berrys and plums. With spring coming (I hope sooner rather than later!) I was looking for a color that would work well with both coral and pink blushes, so I chose Fresh Papaya, which is a juicy coral with a hint of pink and has gold shimmer. The packaging very similar to clinique----- these are self-sharpening for on the go convenience. You get 0.1 oz for $16 for the Clinique Chubby Stick and 0.11 oz for around $8 for the Neutrogena MoistureSmooth Color Stick. It has a smooth, but not slick, never sticky feel on the lips. 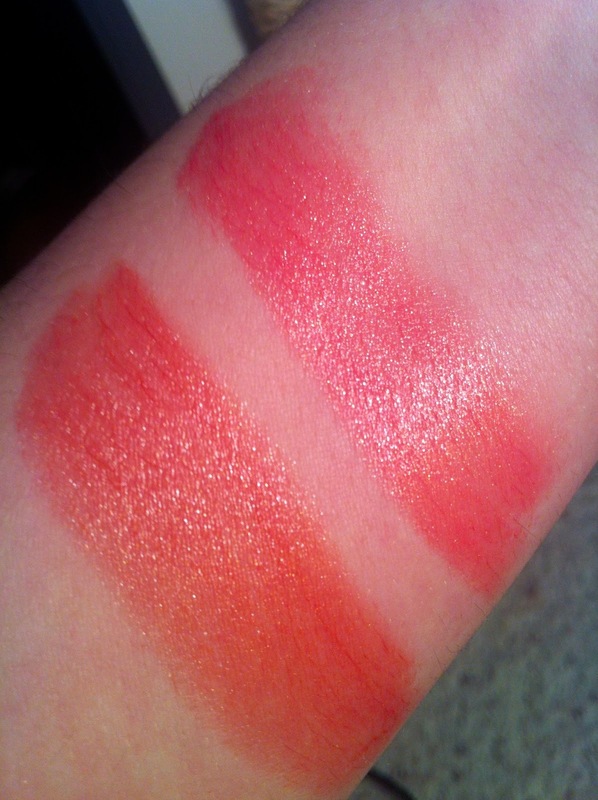 It definitely has more of a balmy texture than a glossy or lipstick texture. 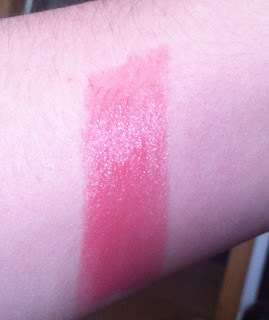 It has rather good color payoff and more opaque than sheer. I did find that the color does catch on any flakes on my lips, so a good exfoliation might be needed prior to application. However, one of the nicest things about these balms is what they do for your lips while you are wearing them, and after they have worn off. Neutrogena says: MoistureSmooth Color Sticks instantly moisturize lips, while continuously conditioning them so they are softer and smoother in just 3 days with nothing on them. I have found this to be mostly true. They are very moisturizing and make my lips feel soft even after the balm has worn off (after about three hours). I can't speak to the "softer and smoother after 3 days" claim because I rarely wear the same lip color 3 days in a row. It lasts about 3 hours on my lips. The other thing of note about this balm is the scent. It has a very strong citrusy smell the dissipates after a few minutes. I personally like the scent, but for those who are sensitive to fragrances you should be aware of this. Overall, I really do love the MoistureSmooth Color Sticks and I think I might try Sweet Watermelon (a cool toned pink) next. How about you? Tried any of these yet? I think I also want to try the Covergirl Jumbo Gloss Balms.